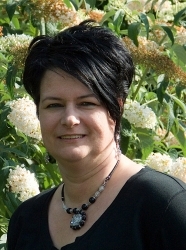 Aquamarijn armband is geregen op elastisch nylon met edelsteen kralen, kristal kralen en tibet zilver kralen kapjes. 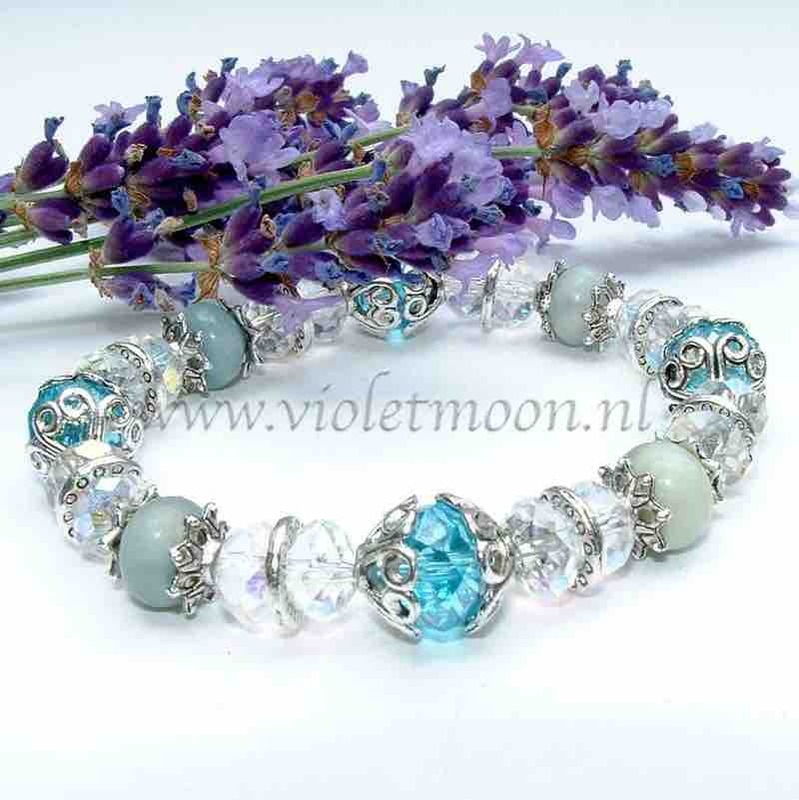 De aquamarijn armband is voor een polsmaat van 16 cm. 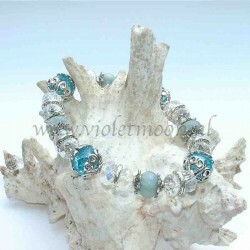 Aquamarine bracelet is strung on stretchy cord with gemstone beads, crystal beads and tibet silver bead caps. 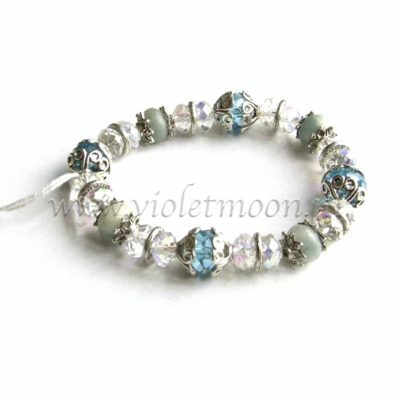 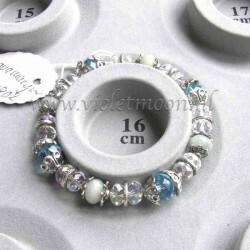 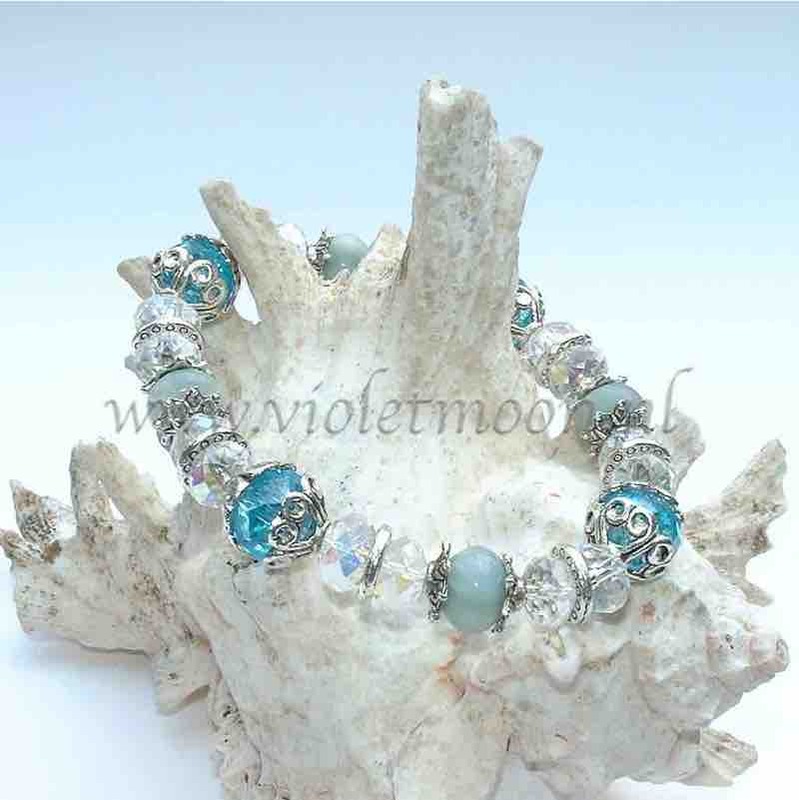 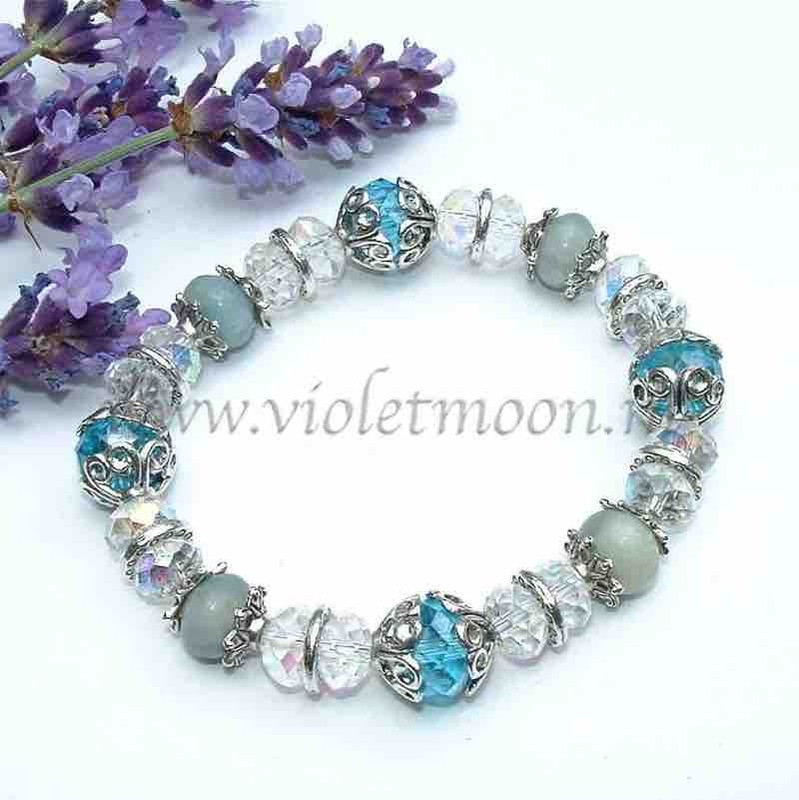 The aquamarine bracelet has a wrist size of 16 cm. The colors can be different because of your monitor settings. 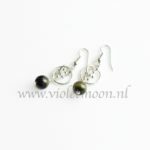 Feel free to ask for more info or write a review when you like these earrings. Be the first to review “Aquamarijn Armband / Aquamarine Bracelet” Click here to cancel reply.